The time has fallen back. The leaves are changing colors. Halloween has passed and Thanksgiving is on its way. Now is the time people start poking around trying to find the perfect gift for that friend or loved one on their winter holiday list. You can find quite the unique gift online or at your nearest, big-box retailer, but locally-owned and operated shops, too, offer great inspiration for gift giving this year. And, if your loved one absolutely adores their gift, they’ll know where to go back for more! Check out these local shops and, don’t forget to tell them qnotes sent you their way this season! The winter holidays include more than just Christmas. There’s Chanukah, Kwanzaa and Winter Solstice. Odds are, there’s at least one friend or loved one you know who celebrates one of those. 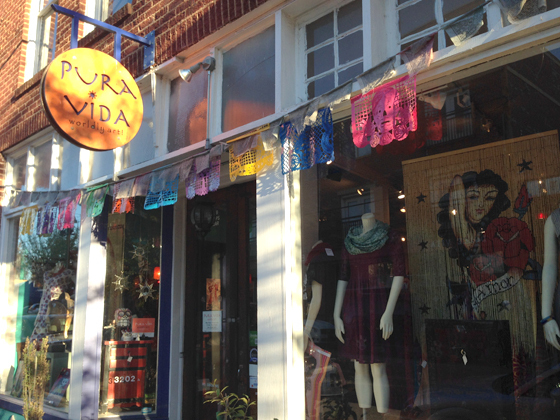 Pura Vida has been livening up the local art scene for years. Once located in Plaza Midwood, they now find their home in NoDa. But, rest assured, they’re still stocked to the brim with unique, world-exploring gifts for even the most eclectic person on your list. The store includes treasures from around the globe, including Latin America, Asia, the Middle East and Africa. Cool gifts include folk art and paintings, pottery, textiles and even religious gifts. We’re betting you can find a gift for just about anyone on your list, and, if you can’t, a stroll through the store will be worth every minute. Located in Plaza Midwood, Slate Interiors, like Pura Vida, offers potential gifts just about anyone on your list would enjoy. An upscale market of local artists and merchants, Slate Interiors boasts nearly 90 different local designers and craftspeople selling a diversity of wares, like furniture, accessories, home accents, fine art and more. Many of the merchants offer unique, whimsical takes on jewelry and art. And, what’s better is knowing you’re supporting local design and craft. For a list of local merchants in the store, visit Slate Interiors’ website. Perhaps a bakery isn’t a place you’d normally first think of when pondering where to shop for gifts this year. But, Amelie’s is a treat, literally! If your holiday social calendar is packed with parties and get-togethers this year, Amelie’s is the perfect place to find just about every unique, gourmet treat under the sun. A gift from Amelie’s to your holiday dinner host will leave even the most ardent foodie inspired and wanting more. Treats range from small tea cakes, macaroons and mini-tarts to larger tarts, cakes and more. Like the best of local shops, Green With Envy has a slew of unique gifts. The store even carries local artists. You can find everything from full-scale gifting to smaller, stocking-stuffer items, including stationary, candles, garden supplies, hand-crafted picture frames, clothing and jewelry and home, bath and beauty supplies. The store knows how to do it up for holiday decorating, too — an added bonus if you need a bit of extra inspiration for your decorating at home. Sleepy Poet’s motto is, “No rhyme or reason, just cool stuff.” And, it shows. If you have a friend or loved one who is enchanted by antiques or retro-inspired items, Sleepy Poet is the place to go. 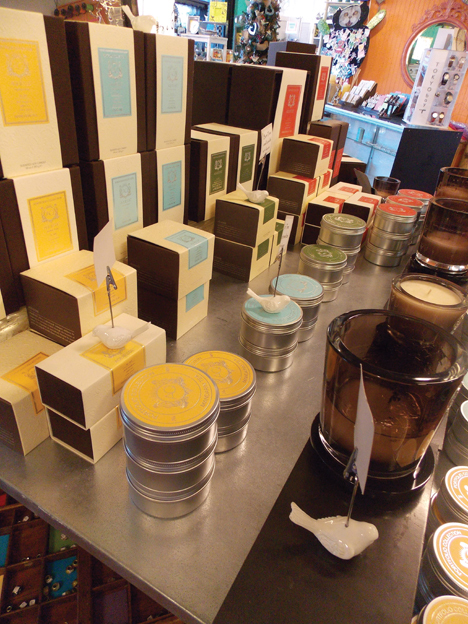 The store stocks a variety of gift-worthy items from local dealers. Glasswares, portraits and landscapes, lighting, statuettes, jewelry, retro posters and signs and more. You could spend hours getting lost in the store searching for the right gift, but every minute spent is a delight — taking you back in time and, perhaps, even evoking some personal nostalgia. And, that, friends, can be a gift from you to you! Since 1969, the locally-owned Infinity’s End has been serving up unique and colorful gifts for Charlotte’s urban, hippie, music-loving culture. The store says it’s the only place in Charlotte “you can see an athlete and Hippie discussing the best disc golf courses in Charlotte.” The store stocks a variety of hip gifts, including music, movies, skateboards, hemp products, clothing, candles, novelty items, home decor and more. For the aforementioned disc golf lovers, the store has a wall full of frisbees and other accessories. Still going strong after three decades, North Carolina’s only LGBT-oriented book, clothing and gift store holds plenty of potential for gift giving. For readers, there’s the store’s selection of LGBT-themed non-fiction and fiction. Rainbow-inspired clothing and Prideware may be a good fit for someone needing that extra lift in gay spirit. For men, the store has the area’s largest selection of designer underwear. For movie lovers, the store’s LGBT-themed documentaries, dramas and comedies will make great stocking stuffers. There’s more great local shopping around every corner in Charlotte. Shopping local means keeping your hard-earned money in your local neighborhood and city, supporting local small business owners and contributing the already-wonderful diversity of local business life and entreprenuership in the Queen City. Check out the directories of shops and other destinations provided by each of these neighborhood and business associations.